There are two Power Buggy models to choose from. 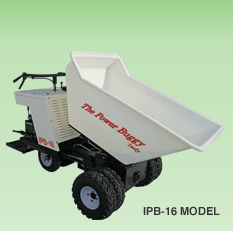 IPB-16 has a 16 ft3 (453 L) capacity. IPB-21 has a 21 ft3 (595 L) capacity.